The New Year has opened on a positive note for homebuyers with the government extending the benefit of Credit Linked Subsidy Scheme (CLSS) for mid segment home buyers up to March 2020. More cheers are awaited, however, since the Goods and Services Tax (GST) Council in its meeting on January 10 is likely to announce a reduction in GST to 5 per cent on under-construction property. Currently, 12 per cent GST is levied only on under-construction real estate projects. While residential real estate projects with an occupancy certificate are not subjected to GST at the time of purchase, developers claim that this structure has tilted the market in favour of completed projects since buyers avoid under-construction projects where they have to shell out an additional 12 per cent GST. 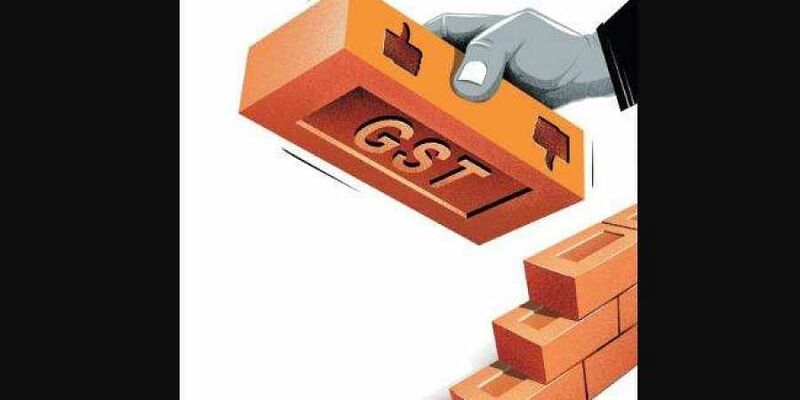 According to sources, as indicated by both the Finance Minister and Prime minister, a cut on GST in real estate would be announced in the next GST Council meeting to be held on January 10. Sources say that the fitment committee, which has already received many proposals on tax reductions across sectors, have zeroed in on the one which seeks to levy a flat 5 per cent GST on under-construction properties, provided the builder purchases at least 80 per cent of the raw material going into the project is sourced from GST-registered and compliant suppliers. Developers claim that the reduction of rates will provide a much needed shot in arm for the sector. “Lowering of the GST rate would aid real estate developers and all allied industries, with the expected increase in housing demand leading to a surge in construction activities as well. The overall monetary effect of the reduction is likely to be revenue positive with enhanced output in the industry too,” said Jaxay Shah, President, CREDAI National. The biggest beneficiary of this move will be the homebuyer who would be able to buy real estate properties at a lower price, say industry experts.“If a flat 5 per cent GST is levied, a homebuyer will save Rs 3 lakh on a property with super built-up area of 1,000 square feet (carpet area 780 sq ft) and priced at Rs 6,000 per square feet,” Anuj Puri, chairman of Anarock Property Consultants, said. Earlier, in his New Year’s day interview to news agency ANI, Prime Minister Narendra Modi also indicated that the government wanted to bring under-construction and finished houses under 5 per cent GST slab. “We wanted to do that. But, there were reservations. So, the GST Council could not do it. It has now gone to the committee. We will try to ensure that the committee report is expedited,” Modi had said. Currently, taxes on under-construction properties broadly include stamp duty, registration and GST. Stamp duty varies from state to state ranging between 5-7 per cent of total property acquisition cost. Many states offer a rebate of 1-2 per cent to women if a property is registered in their name. Apart from this, registration charges come to a fee of 1 per cent of the total cost for home-buyers. Then, there is GST at 12 per cent on the base cost of the property. For properties priced below Rs 50 lakh, tax deducted at source is 1 per cent and is deducted by the buyer at the time of payment to the seller.